If your theme version says 2.0, follow option #1. If your theme version says 1.0 (purchased prior to August 2017), follow option #2. 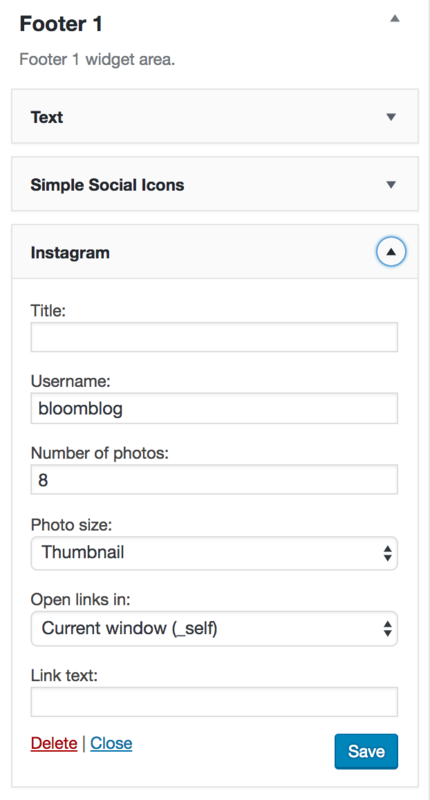 To display your Instagram feed in the footer, drag a text widget to the Footer widget. Paste your SnapWidget* code and click save. 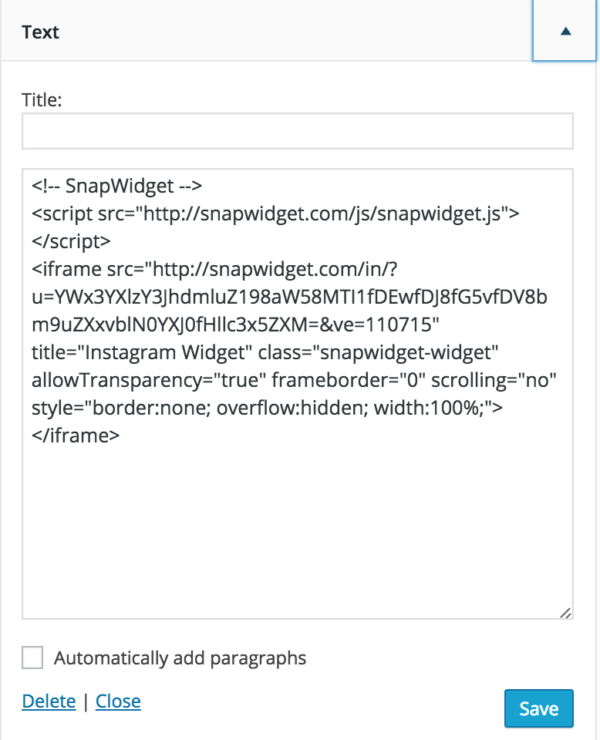 *Go to snapwidget.com to create your footer widget. It’s super easy! Select how many images you’d like to show and make sure you select the responsive option. NOTE: All settings in your Simple Social Icons widget must match in order to see any changes you make to the settings (i.e. if you want to make the icons smaller, you have to change the settings in the sidebar widget AND in your social media menu widget area AND in your footer widget area).